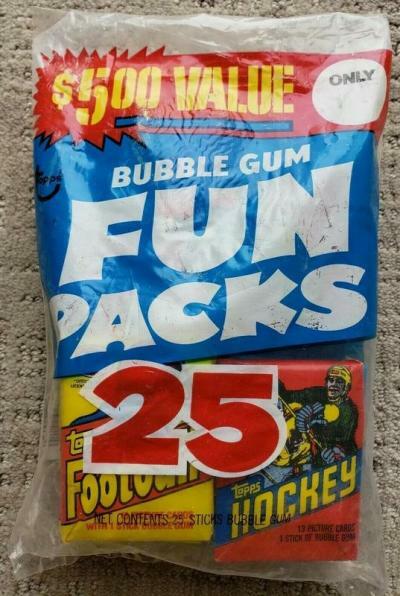 I have three Topps Fun Bags for sale, which are listed below. 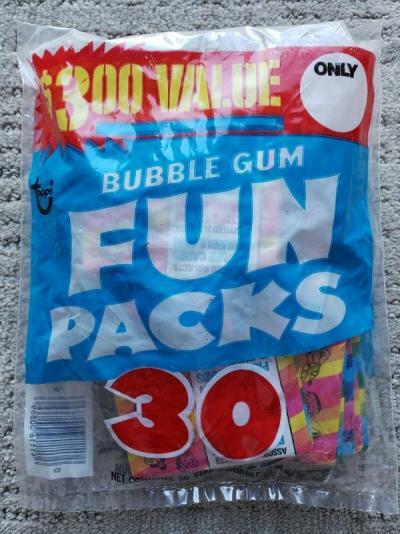 I'm also interested in buying and/or trading for fun bags too, if you have any you'de like to sell. have a price in mind? those would be fun as heck to open! $450 for the 1981 Football fun bag. 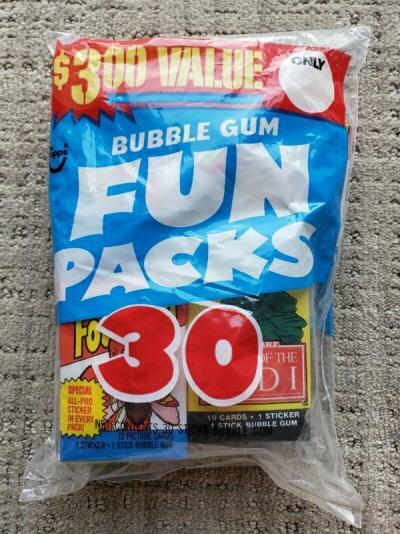 $115 for the 1983 Fun Bag w/ football packs. $105 for the 30 pack mystery bag. Lemme know if interested. Thanks!